So what is chamomile good for? 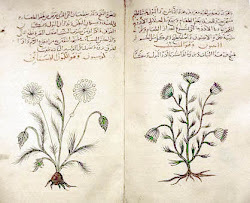 Therapeutic properties of Chamomile – anti-bacterial, anti-inflammatory, anti-spasmodic, calming, emmenagogue, bitter, stomachic. Chamomile is one of those herbs that are good for almost everything. Chamomile is a calming herb and could be used to help falling asleep. A strong cup of chamomile tea is great for helping to relax if one is feeling stressed. Chamomile is good for almost all problems of the digestive system, stomach ache, indigestion, and lack of apatite, ulcers and many others. Because of its ability to help heal wounds it could be very helpful in the treatment of mouth ulcers. Chamomile can be used to help ease pain. It has been even said to help with teething babies. Chamomile can help with menstrual pain and bloating. Chamomile tea can help to clear up eye infections. Chamomile can be used topically to help heal wounds and sooth irritated skin. How do you make a strong cup of chamomile tea? Add one heaping tablespoon of dried chamomile flowers to a cup of boiling hot water and cover the cup. Let it brew for 5-10 minutes and the strain out the used herb. Some people are allergic to chamomile. Beside the allergic aspect chamomile is safe even during pregnancy and nursing.